Q&A – Are the Nephilim the Basis for the Hercules Stories? Are the Nephilim of Genesis 6 the Basis for the Greek Legends of Hercules? First, we have to examine this question and see if it is asking the right thing. Second, we need to consider what Genesis is trying to accomplish in chapter 6. Q&A – Was Thutmose III the Pharaoh of the Exodus? Was Thutmose III the Pharaoh of the Exodus? Possibly. This article offers some evidence for and against this relatively early dating of the Exodus. Q&A – Are Imhotep and Joseph the Same Person? Are Imhotep (a vizier under Pharaoh Djoser) and Joseph (from the book of Genesis) the same person? Certainly not, and here’s why. Many biblical scholars doubt the authenticity of the oracles against Tyre and Edom in Amos 1:9-12. But not only do many of the arguments against their authenticity have other, better explanations, some, particularly those that argue for a much later date of the Edom oracle based upon its “appropriateness”, commit a fundamental error in logic. 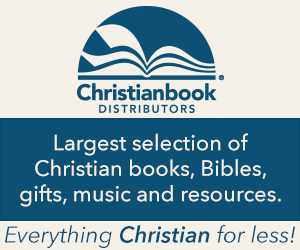 The NLT Illustrated Study Bible, is an update of the NLT Study Bible line of products, which have ranked among the most comprehensive study Bibles on the market. Using the popular and easy-to-read New Living Translation for its text and a tabloid-like style of graphic design, this study Bible is extremely accessible and visually stimulating. Its commentary covers a wide range of theological, hermeneutical, and historical subjects in a thorough and generally responsible way. At the same time, however, it demonstrates a decidedly conservative point-of-view, meaning it avoids challenging fundamentalist Bible interpretation strategies, even where those strategies are most vulnerable and least helpful. A Brief Guide to the Hebrew Bible introduces the reader to the literature of the Old Testament and the history of scholarship pertaining to it in an accessible and engaging way. While intended for undergraduate students, this book is useful for laypeople, pastors, non-specialist scholars, or graduate students in Old Testament who desire a quick overview of Old Testament literature and scholarship. Merrill, Rooker, and Grisanti’s OT introduction “The World and the Word” unfortunately represents a step backward for fundamentalist Bible scholarship, when what it needs is honesty, courage, and creativity.